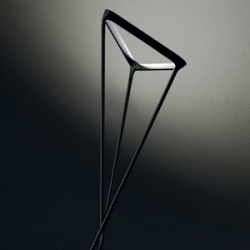 Tango, beautiful floor lamp designed by Francisco Gomez Paz for Luceplan. 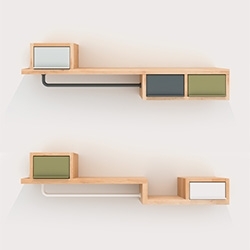 Hallucination, a magnetic hanger system, by Japanese designer Yukio Kimura. 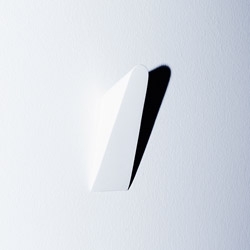 Wall or Coat Hook, simple, with clever mounting system, by Munich based designer Gerhardt Kellermann. 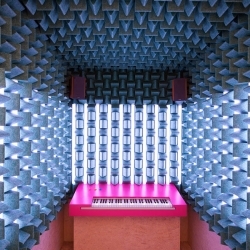 Kids Museum of Glass - China’s first design museum for kids invites children to learn the basics of glass in a playful and fun way. 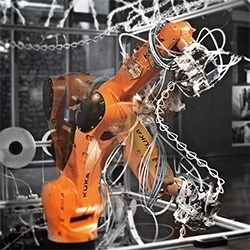 Robotic Extrusion - Robotic 6-Axis 3D Printing. Custom robotic dynamic end effector creates 3D forms biomimicking spider webs. Project by Shi Ji collaboration with Liu Xun, Luo Ruihua, Cui Yuqi. 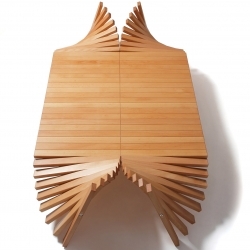 Lepke Coffee Table, formable, with adjustable heights, by rotating the wooden slats. 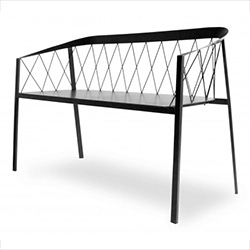 Friends & Founders Bench Net - gorgeous indoor/outdoor net made of metal powdercoated in white, black, copper brown, or bronze. 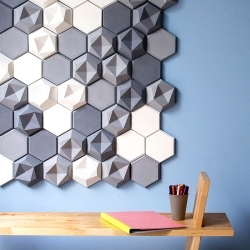 X-Holes by RMK Design for Kukka. 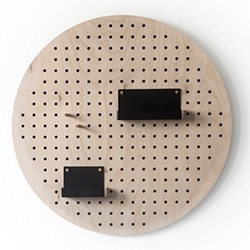 A designer update to the usual pegboards... in circle and square designs. 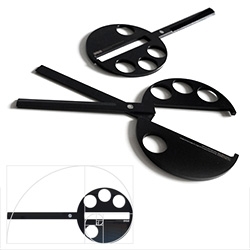 'MATHEMATICS' scissors designed by iAN Yen & Design YxR - a new aesthetics of the scissors with golden ratio and good proportion. 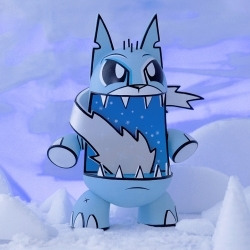 Artist and toy maker Joe Ledbetter is proud to release his latest vinyl figure: Ice-Cat. Only available from his website this Friday. 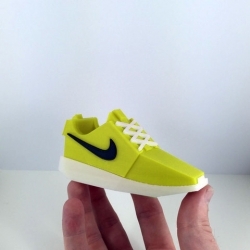 3D printable Roshe Run, this is a tribute to one of the greatest sneakers ever! 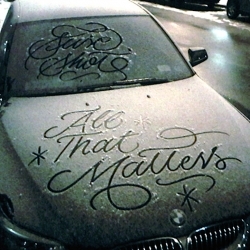 Created by designer Joe Bowers. 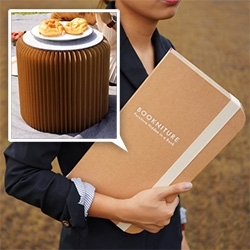 Camille Hesnard's Paysage Lamp, a modular table lamp. 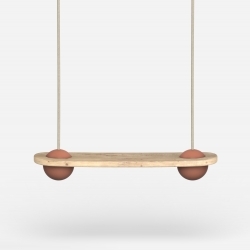 Alix Videlier, young French designer returns to BED following the presentation of his shepherdess BAO RIGOLE to unveil his latest project modular console to your entry. Architecture firm L. McComber ltée re-purposes old attic beams into new a bookcase and swing for the renovation of a Plateau Mont-Royal dwelling. EDGY, manufactured by KAZA Concrete, consists of two tiles, one being three dimensional, the other, two and half dimensional. Apply to interior or exterior surfaces, covering walls partially or entirely. 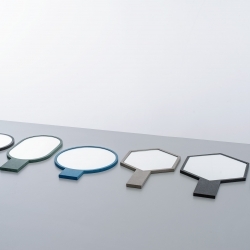 Hand Mirrors by mpgmb, made with wood fiber panel colored throughout with organic dyes. Where's Wallet wants you to find the 25 Technology Icons in this homage to Where's Waldo by illustrator Harry Bloom. 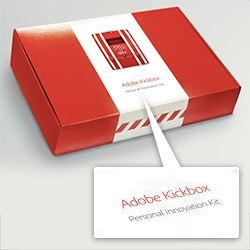 Adobe's Kickbox - a red box filled with Money ($1000), Instructions, Innovation Tools, and Caffeine/Sugar (Starbucks card + chocolate) that any employee can request. 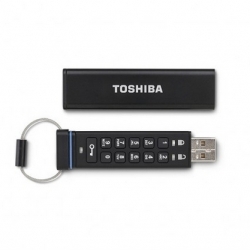 You can also download the materials and kickbox yourself! 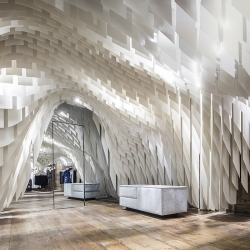 3Gatti uses 10,000-fiberglass shapes to create the undulating ceiling at SND Concept Store. 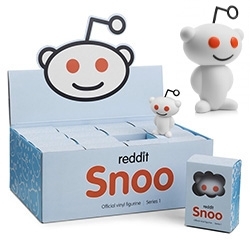 Reddit's mascot, Snoo, is now a vinyl toy! 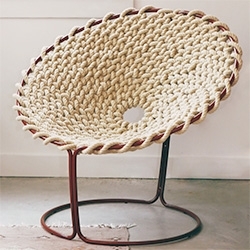 Studio Rik Ten Velden's Femme Chair - part of the 'Single Knotted Wire' project inspired by knotting techniques used on ships. 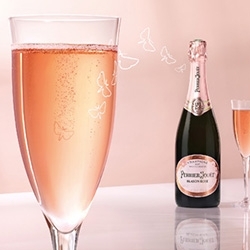 Mischer'Traxler's flute for Perrier-Jouët makes the bubbles come from the moth! Such a nice use of the fact that bubbles form from the imperfections of the glass. 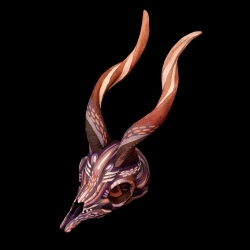 Incredible that they managed to etch inside it so delicately. FEATUREDFlash it! 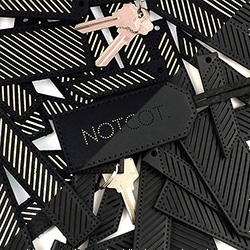 Our NOTCOT In Plain Sight Collection of handmade (by me!) 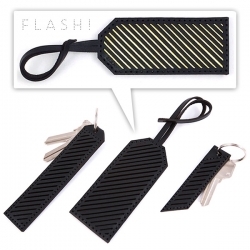 leather key chains and bag tags with subtle reflective stripes that POP when you flash them! Arizona Collection by mpgmb. 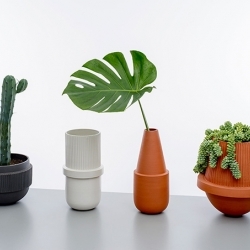 Materials: Glazed stoneware and unglazed terracotta. 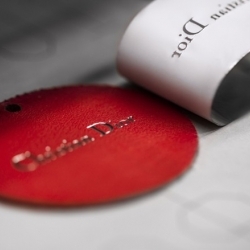 Making of: Be Dior Bag - Go behind the scenes at the French couture house Dior to watch the expert craftsmen at work. 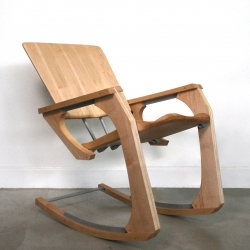 Ark Rocker, a rocking chair hybridizing traditional craft techniques and cutting-edge digital fabrication tools to create multiplicity with sensuality. By Xander Bremer at Autodesk's Pier 9 Workshop, San Francisco. 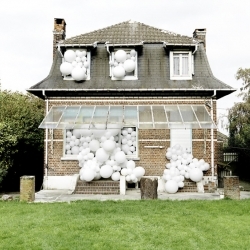 Balloon Invasions by Charles Pétillon are metaphors. 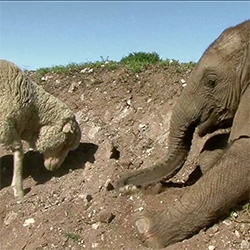 Their goal is to change the way in which we see the things we live alongside each day without really noticing them. 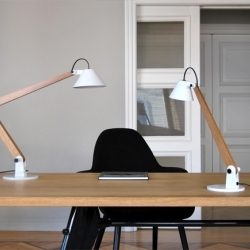 Mamet Lamps are conceived by the architect Pablo Carballal based on his familiarity with the daily life in creative work spaces. 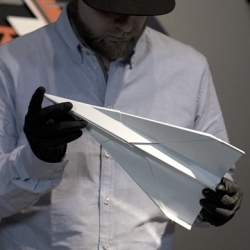 They set substance and class as stimulus for thought provoking work and aspire to illuminate many great ideas. Typography: Snow Script by Faust New York. 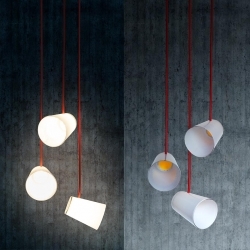 White Glass, a minimal pendant light made out of mouthblown glass and COB leds. By Gonzalez Garrido. 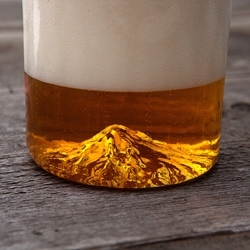 North Drinkware debuts on Kickstarter with a hand-blown pint glass with Mt. Hood molded into the base! 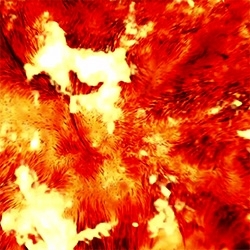 VIDEORiding Light by Alphonse Swinehart is an animation that takes you on a realtime journey as light travels from the Sun to Jupiter. 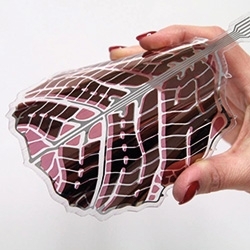 The VTT Technical Research Centre of Finland Ltd has developed a technique for printing organic solar panels as thin as paper. 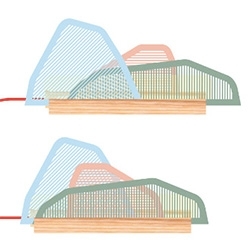 One square metre of the panels can harvest 3.2 amperes of electricity with 10.4 watts of power at Mediterranean latitudes. 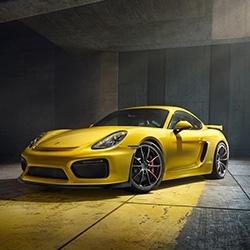 The new 2015 Porsche Cayman GT4 debuts with an updated look and a lot more performance. The 385 hp mid engined machine will only be offered with a manual gearbox. 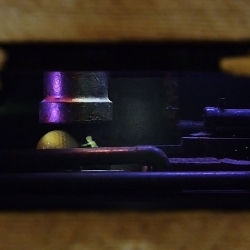 Sleepwalkers: Holographic beings made of light, augmented reality and indoor mini golf. 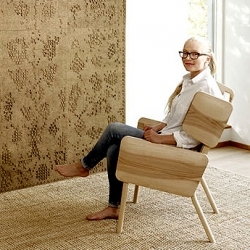 Gran RU Collection by Wilhelmiina Kosonen is an acoustic wall panels, an innovative way to create a visual experience using 3d-texture and ecological materials. 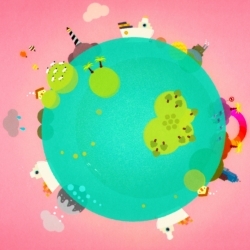 VIDEOTrunk’s Alasdair + Jock create an engaging and joyful short for the mighty International Maritime Organization. 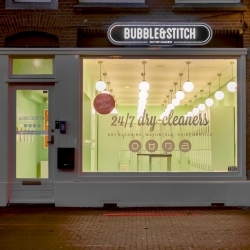 New 24/7 open smart laundry space in Amsterdam using an app and a high tech locker system to allow you to drop off an pick up your clothes at any time of the day or night. 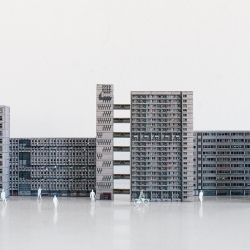 To all those who were curious how Dutch Lab's Gothicism works. 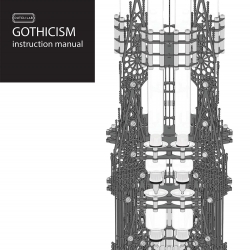 GOTHICISM's Instruction Manual with detailed information about the coffee brewing method. 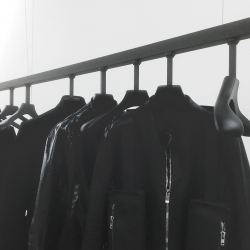 FEATUREDThe NOTCOT In Plain Sight Collection of blacked out leather retroflectors! Black on black until you FLASH them (with a camera flash, car lights, etc.) Limited edition and handmade at NOTlabs from vegetable tanned leather.